You can set as few as 2 links to as many as 9 links for the bar. Option to open each individual link in a new window or leave the visitor on the same page when clicked. - Page to select an existing published ZP page (only published pages are available for selection). 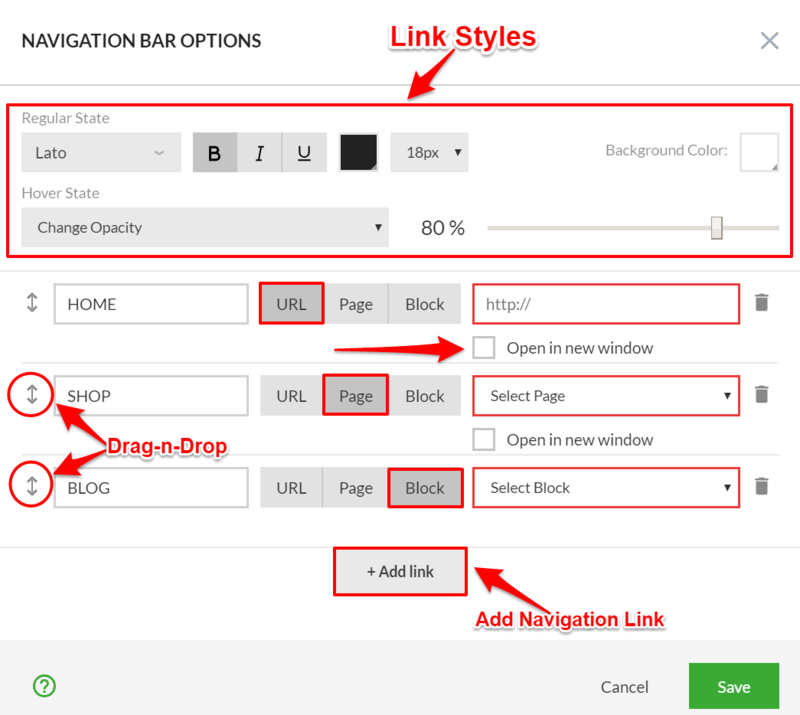 -Block to select a block on the page that you want the link to anchor to. Useful for very long pages so you can anchor to specific sections of the page from the navigation menu. Click the "Add Link" button to add more links to the list. Click the "Trashcan" icon next to the link you want to delete. You can drag-n-drop links into any desired position of the list. Left-click and hold on the drag-n-drop icon next to the title and then move it to the desired position.